Netshield South Africa has introduced cloud or network managed Smart Zero U Power Distribution Units (PDUs) to its growing energy smart product portfolio. These units provide active Class 1 metering, so that clients are able to take advantage of energy metering and energy optimisation of cabinets in their data centres. 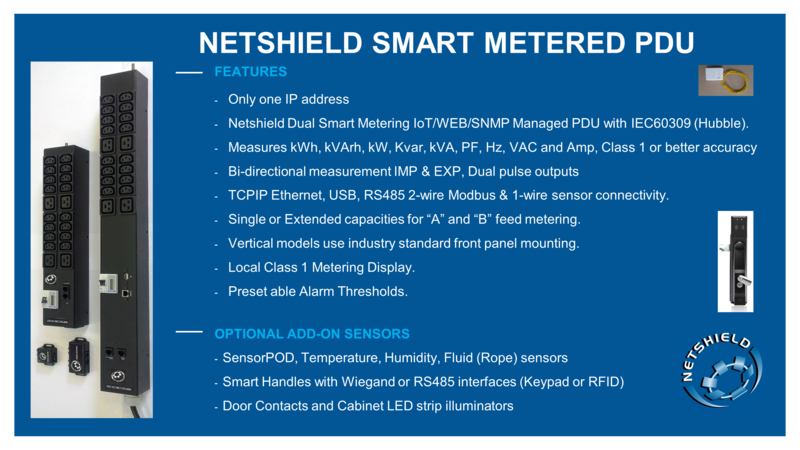 The units also offer the option to add temperature, humidity and fluid monitoring sensors and as a result of being network ready can form part of an overall Internet of Things (IoT) business environment.